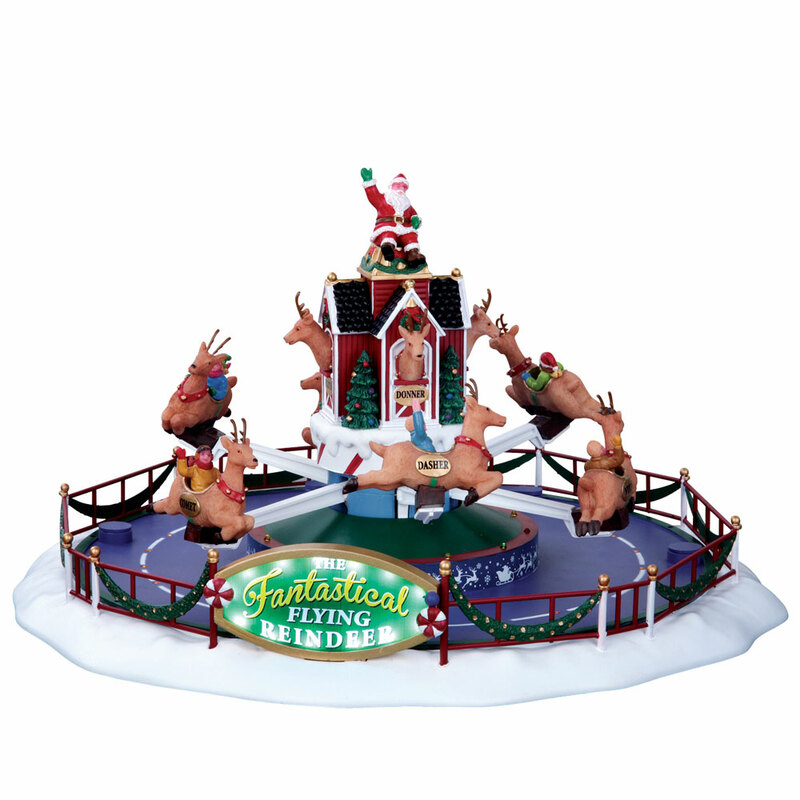 Lemax Reindeer On Holiday Sights & Sounds table piece depicts a delightful seasonal childrens Christmas fairground ride named 'The Fantastical Flying Reindeer'. Riders sit in the Flying Reindeer as they take off, rotate and fly up and down, whilst lights on the floor flash on and off alternately. Christmas fairground soundtrack plays in the background accompanied by the sound of laughter and excitement. Suitable for placement in and amongst a seasonal Lemax village fairground scene. A real spectacle and centrepiece for a Lemax Santa's Wonderland Village themed display. A wonderful new showpiece collectable model that joined the growing Lemax collection in 2016. Reindeer On Holiday offers a delightful self standing animated, illuminated and musical fairground model on an individual base to compliment your seasonal Lemax Village. Seamless transaction/excellent packaging/quick delivery/First rate.